According to the old saying, you're only as young as you feel. But U.S. health experts say the familiar cliche may be deceiving. A new study by the U.S. Centers for Disease Control and Prevention says about three out of four Americans have hearts that are actually older than the rest of their bodies because of poor health and bad diets. 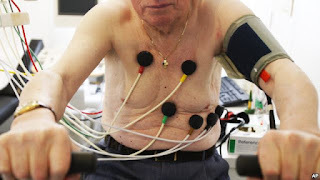 The heart age of the average U.S. male is almost eight years older than his real age. For women, it is more than five years. The CDC says the most common reasons for an older heart include smoking, high blood pressure and cholesterol, eating poorly and little exercise. It says an older heart could lead to heart attack or stroke. Heart disease is the number one killer of Americans. 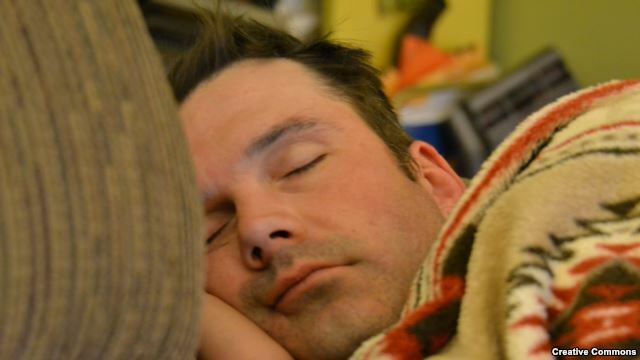 While a cure for the common cold remains elusive, a new study says getting enough sleep could be key to avoid getting sick in the first place. The study found that people getting less than six hours of sleep per night were four times more likely to catch a cold than their longer sleeping counterparts. For the study, researchers recruited 164 volunteers between 2007 and 2011. The volunteers were given extensive health screenings and were asked about levels of stress, their general temperament, and their use of alcohol and tobacco in order to establish a general health baseline. The volunteers’ sleep patterns and sleep quality were measured for a week prior to giving them the cold virus. Subjects who had slept less than six hours a night during that week were 4.2 times more likely to catch a cold. Researchers not affiliated with the study were not surprised with the findings. Mary Carskadon, a professor of psychiatry and human behavior with Brown University Alpert Medical School in Providence, Rhode Island, expressed little surprise with the findings. "This is a confirmatory study of other studies that have been moving our thinking in this direction," said Mary Carskadon, a professor of psychiatry and human behavior with Brown University Alpert Medical School in Providence, R.I., speaking to Philly.com. "Short sleep has been linked to a greater risk for cancer and other more chronic conditions, and consistently shorter sleep has clearly been associated with a higher likelihood of illness." Insufficient sleep has been called a “public health epidemic” in the U.S. by the Centers for Disease Control and Prevention, and according to a 2013 survey by the National Sleep Foundation, 20 percent of Americans get less than six hours of sleep on an average work night. The National Sleep Foundation recommends at least seven hours of sleep per night for adults. The study, “Behaviorally assessed sleep and susceptibility to the common cold,” appears in the September issue of the journal Sleep.